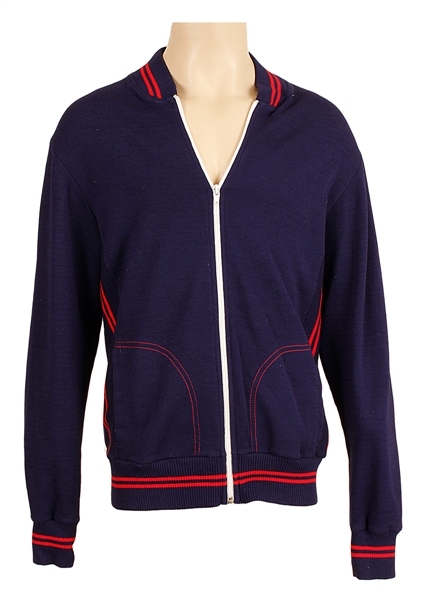 Elvis Presley's owned and worn blue warm-up jacket with red stripes. Very good condition. Comes with a letter of provenance and a Gotta Have Rock & Roll™ Certificate of Authenticity.